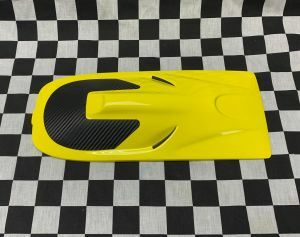 Replacement hatch for TFL Pursuit boat. 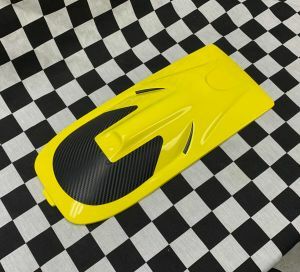 Comes in fiberglass yellow with carbon color windshield. The rest of the boat. Note:Picture for display only. This only includes the hatch/cowl.